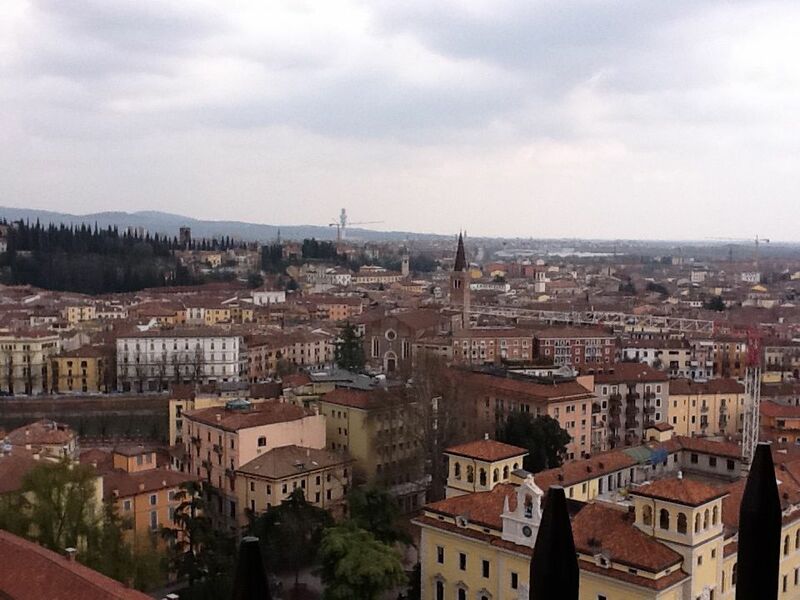 Corvina is a red grape that hails from the Veneto, specifically the area around Verona, the beautiful city in the photo. It was first mentioned in the 1820a. The signature of this grape is its acidity. It is a light to medium bodied grape with a thick skin. The thick skin allows this to be a good grape for drying purposes used in the making of Amarone, Recioto, and Ripasso. Corvina is usually blended with two other grapes from this area, Rondinella and Molinara when making these wines. I have only tasted it as a mono-varietal a few times, Zenato makes one called Cresasso as does Allegrini, La Poja. Corvina is used in Amarone, Recioto, Ripasso della Valpolicella, and Valpolicella wines (minimum 45%-95%) as well as in the wines from Bardolino and Garda Orientale. Corvina is a late ripener and tends to be quite vigorous so it must be trained to keep yields low. It’s taste profile is relatively straightforward although barrel aging tends to soften it a bit. It is acidic, with notes of plum, sour cherry and almond. It has low to medium tannins. I prefer it in a blend but the mono-varietal wines are an interesting change of pace. For those going to Vinitaly in April, it is quite easy to try this grape in its various combinations. 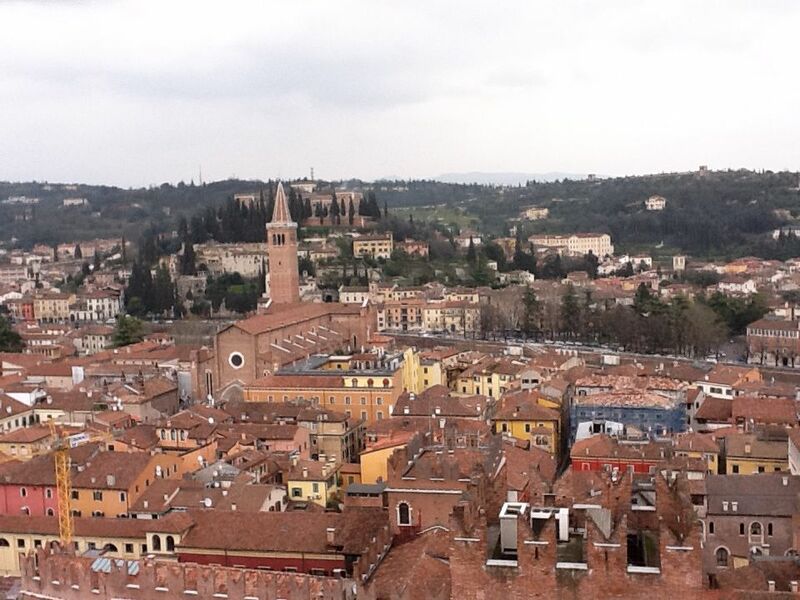 If you are going, I do hope you get time to visit the great city of Verona, if your feet aren’t too tired from the fair. 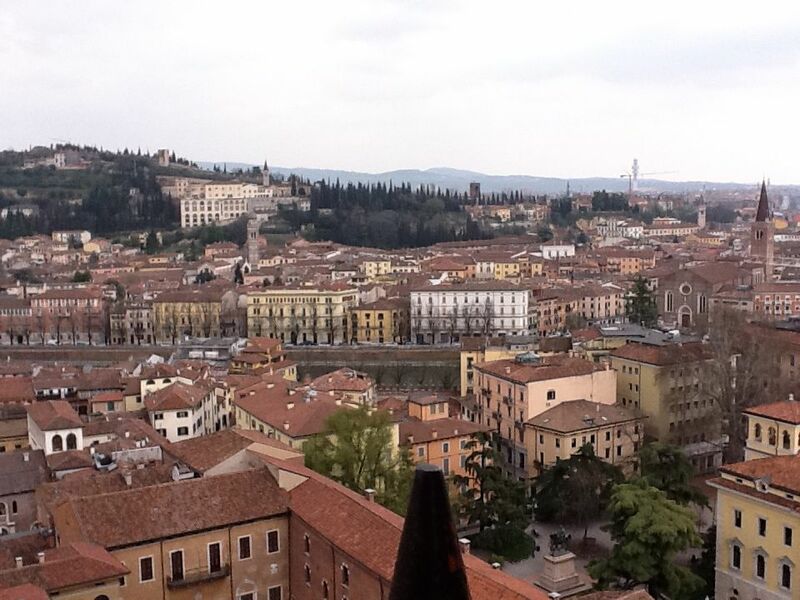 I love Verona, going to an opera in the Arena is a must for everyone who likes Opera although I also saw a great concert with Sting there some years ago which was fabulous. I think the city is just beautiful with the Adige river flowing through it and of course, a “Spritz” in Piazza delle Erbe shouldn’t be missed. I really like just walking up and down the streets in this city with its beautiful red roofs and pink marble. I’m looking forward to seeing it again and tasting some great wines with this variety.